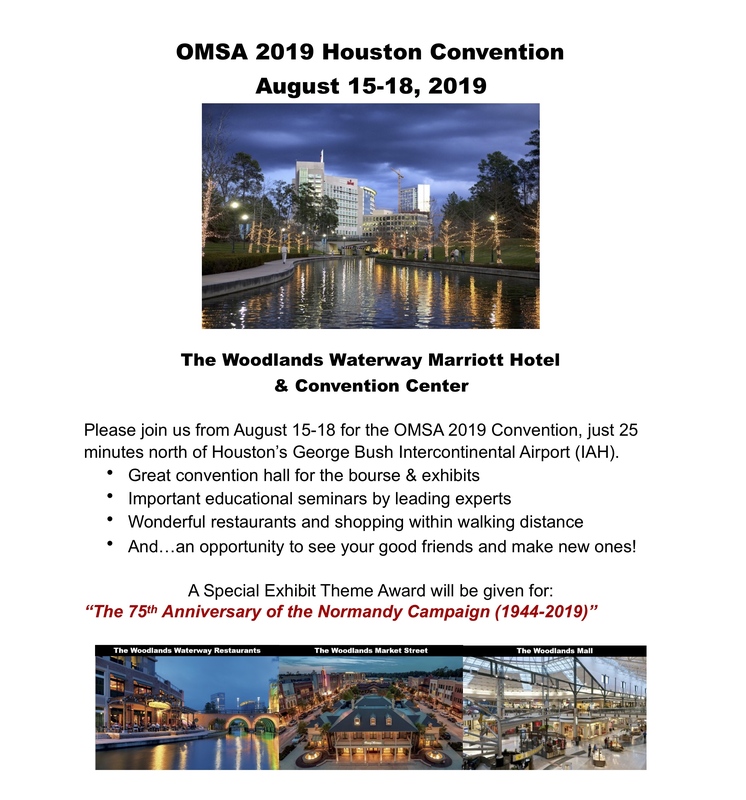 If you are exhibiting, please click on the OMSA Exhibit Rules link below for more information. For making The Woodlands Waterway Marriott Hotel reservations, call their national toll free number at (800) 228-9290 or their group reservations at (800) 262-1509 or click on the direct hotel reservation link below. Be sure and ask for the OMSA 2019 group rate of $129 (plus taxes). Limited concierge level rooms for $159 (plus taxes). Rooms must be reserved by Wednesday, July 24th (drop dead date) to get the OMSA 2019 group rate. For general questions regarding The Woodlands Waterway Marriott Hotel, you can call their direct number at (281) 367-9797. PLEASE NOTE: Exhibit Rules for 2018, download pdf file above.